Whether sharing a pot-luck dinner or a catered meal, E.A.T.T. offers a wonderful opportunity for fellowship with church members. Beginning with fellowship at 5:30 pm each Wednesday followed by dinner at 6:00 pm. Reservations, if needed, can be made through the Events Page. Different groups meet before and after E.A.T.T. Check the schedule and make plans to gather 'round the table. It takes many volunteers to make Wednesday night dinners happen. If you would be interested and willing to help with these suppers, please contact the church office, or just come a little early this Wednesday and offer your help to Kitty. 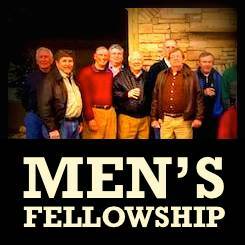 The Newnan Presbyterian Men’s Fellowship is a men’s group that includes all the men of the church, young and old, fathers, sons, grandfathers, married and single. The purpose of this group is to provide a way for men to meet new friends in the church, engage in fellowship to promote bonding, mentoring and friendship. We have such a diverse group of men, and believe we have a lot to share with each other. We meet once a month or every other month, having a meal together and then an unstructured time of fellowship, which might include a program, speaker or other activity to promote group objectives. Coffee Time is held each Sunday morning between Sunday School and the late service in the Main building across from the pastor’s office. This is a good time to meet new members and enjoy fellowship with everyone. All ages are welcome to join us for coffee or tea and a light snack. FEAST Groups (Friends Eating And Sharing Together) are small groups of members who meet several times to share a meal, either in a member’s home, local restaurant, or any agreed upon location. 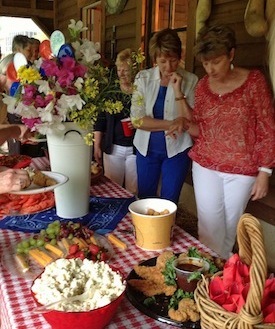 The FEAST Groups provide an opportunity to get to know members of our Newnan Presbyterian Family. Each group decides what activities it would enjoy. 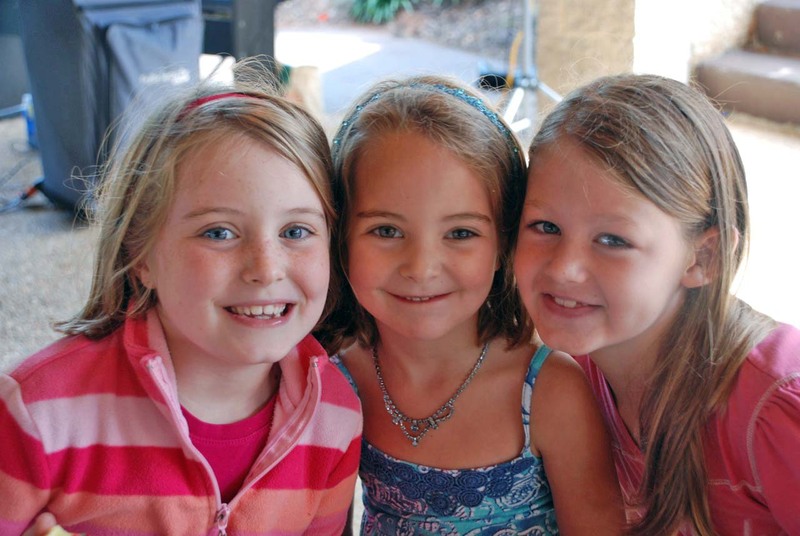 The Shepherd Program connects new members with existing members, who can assist in the new member becoming an active part of Newnan Presbyterian Church. Shepherds are matched on with members who share the same interests, family background, age, etc. 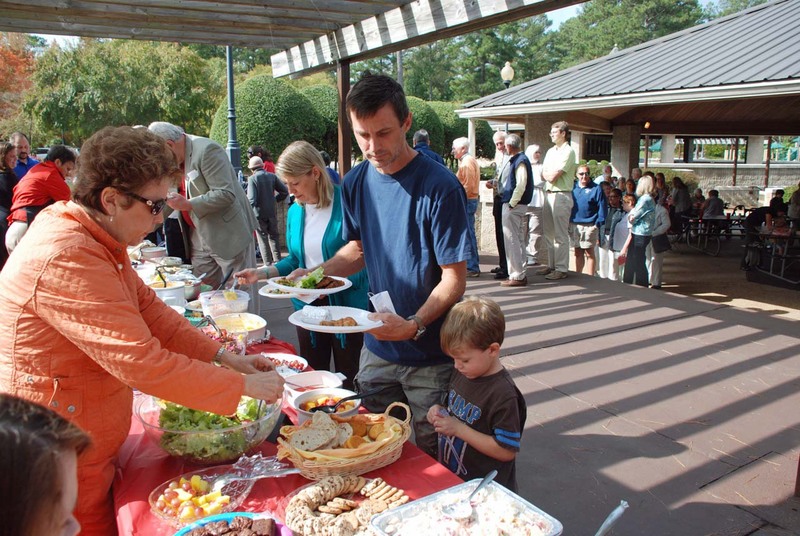 The annual Church Picnic in early fall is an old-fashioned outdoor worship service followed by a potluck dinner-on-the-ground. Held at a rural setting, the picnic is a highlight of the fall season, as the congregation brings covered dishes and fills the morning with music and God’s message following by great food and Christian fellowship. An annual event organized by the Diaconate, Faith & Fellowship is a day when members of the congregation join together in a variety of activities that both enhance our Christian relationships and further the mission of the Church. Usually scheduled on a winter Saturday, the agenda begins with a light breakfast and includes visiting homebound members; completing maintenance and minor repair projects within the church; or volunteering at a local charity such as the Coweta Food Pantry or Good Samaritan House. The day culminates with camaraderie and lunch at the Fellowship Hall. It’s a great way to do the lord’s work and get to know your neighbors a little better.